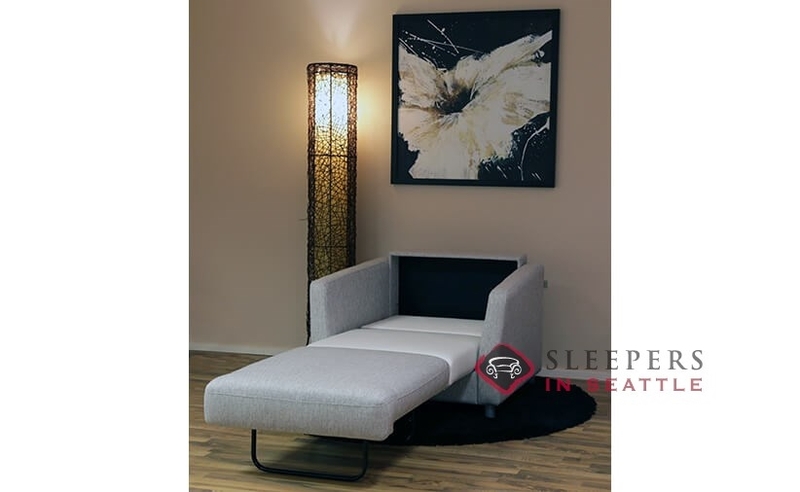 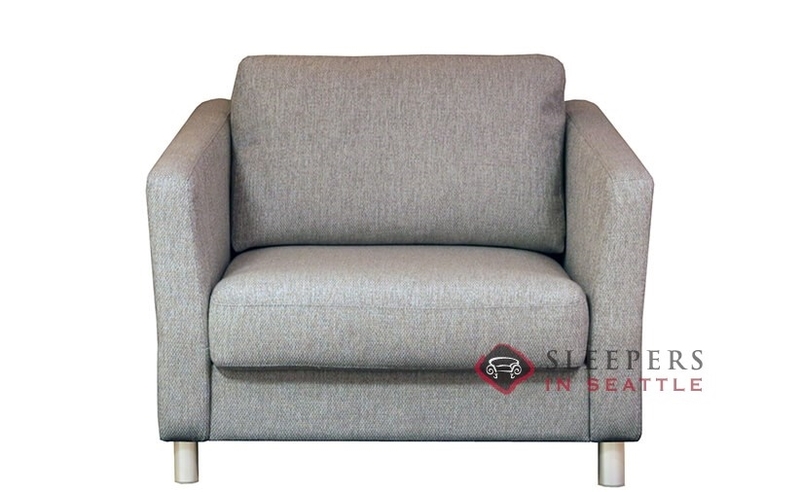 The Luonto Monika Chair Sleeper Sofa is a tasteful transitional model marked by track arms, plush cushions and subtle design. 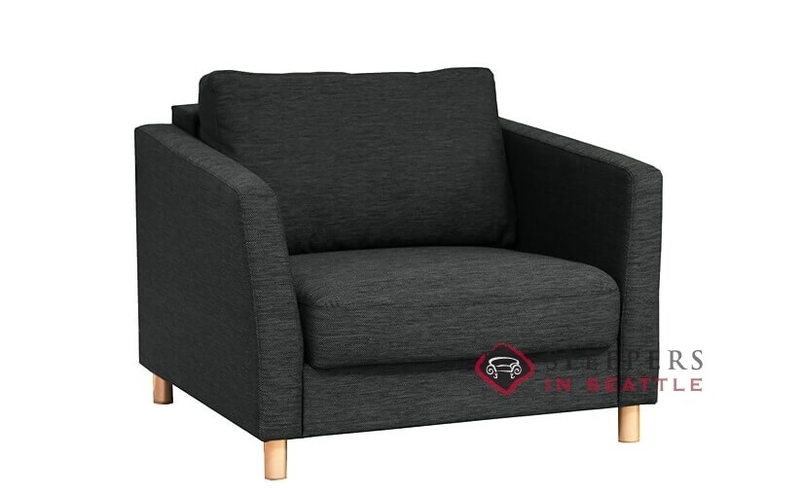 Crafted in Finland using sustainable manufacturing practices, the Monika is both environmentally sound and aesthetically pleasing. 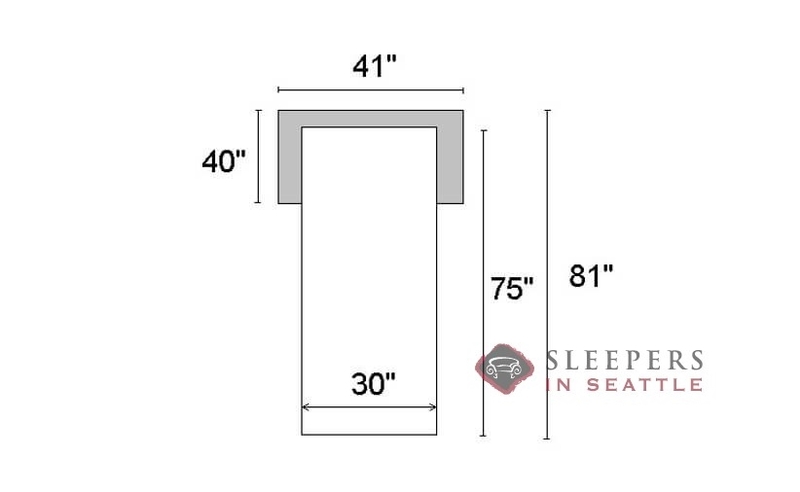 Sporting a new and patented sleeper mechanism, the Monika offers a foam mattress atop a solid wood platform--no bars, no springs. 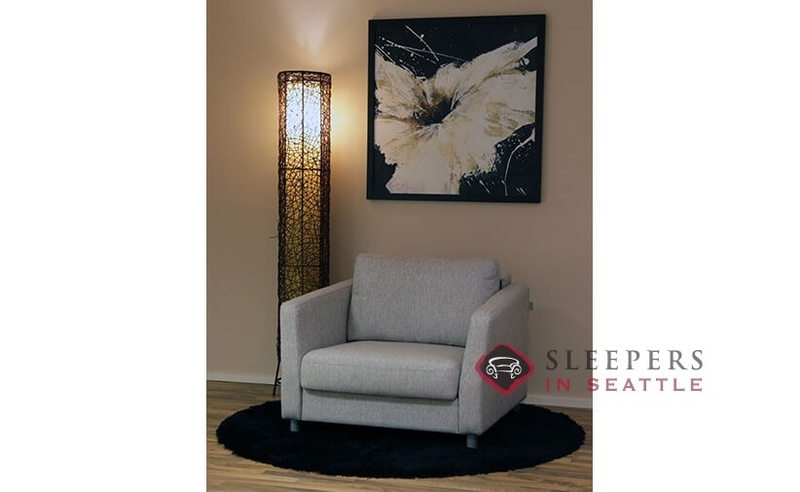 The Monika is fully customizable in our complete selection of Luonto fabrics. Had the Monika for a few months now and it's made a nice addition to the den. 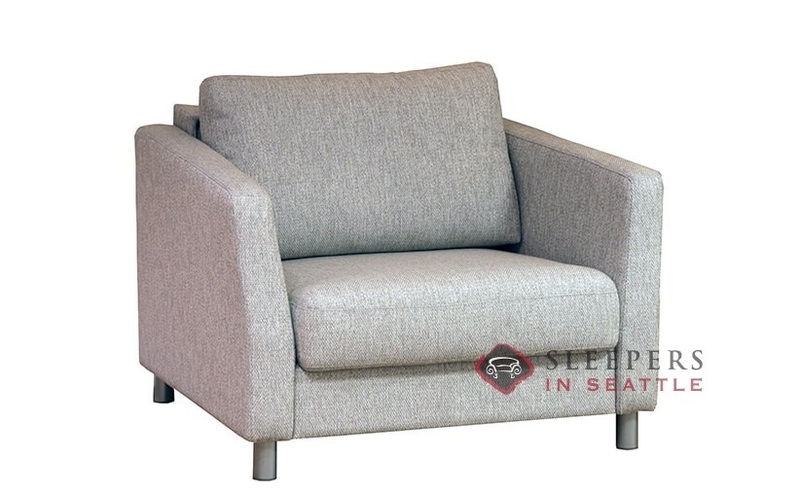 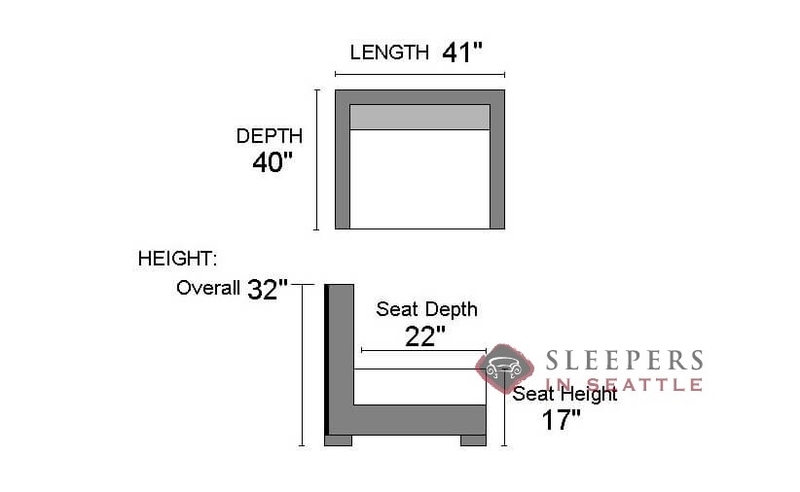 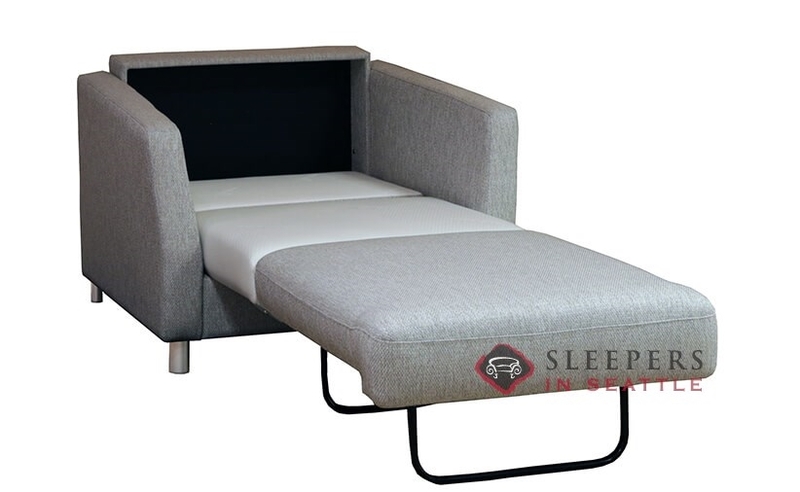 The thin arms are stylish, but they also help create this deep cozy seat, with enough room for a real sized sleeper mattress. 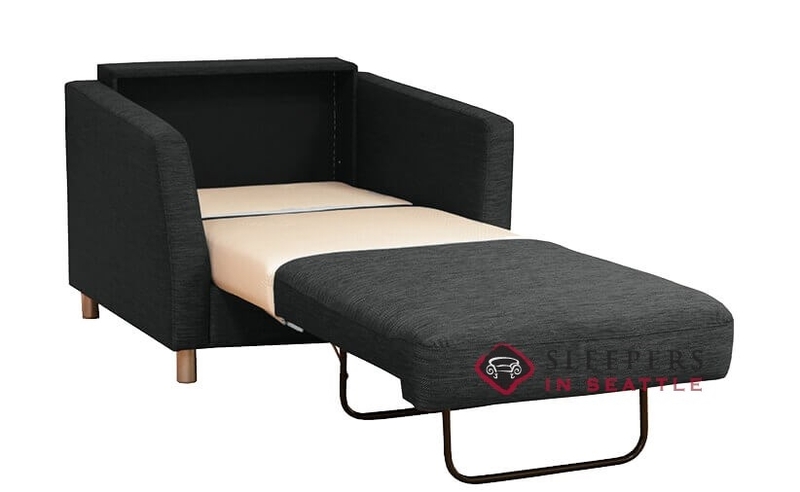 This is one of the best chair/bed combos I've come across without question. 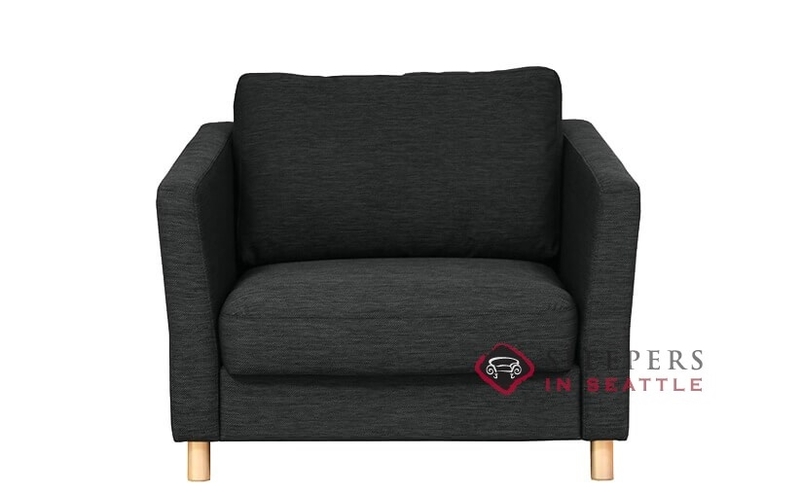 Glad I got mine for sure.